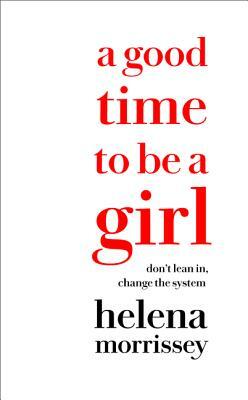 Five years have passed since women were exhorted to "lean in." Over that time, the world has transformed beyond all expectations. But why should anyone "lean in" to a patriarchal system that is out of date? Why not change it entirely for the good of us all? Helena Morrissey sets out how we might achieve the next big breakthrough towards a truly inclusive modern society. Drawing on her experience as a finance CEO, mother of nine, and founder of the influential 30% Club which campaigns for gender-balanced company boards, her manifesto for new ways of working, living, loving and raising families is for everyone, not just women. Making a powerful case for diversity and difference in any workplace, she shows how, together, we can develop smarter thinking and broader definitions of success. Gender balance, in her view, is an essential driver of economic prosperity and part of the solution to the many problems we face today. Her approach is not aimed merely at training a few more women in working practices that have outlived their usefulness. Instead, this book sets out a way to reinvent the game--not at the expense of men but in ways that are right and relevant for a digital age. It is a powerful guide to success for us all.